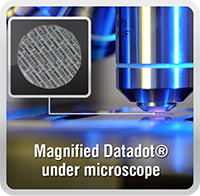 Machines protected by Datatag's MASTER Security Scheme are four times less likely to be stolen than those not protected. 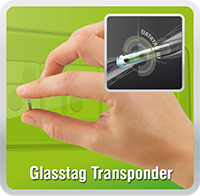 Based around electronic transponders that provide an electronic ’finger print’ to key components, the system also uses ’stealth’ chemical etching and includes approximately 1000 Datadots® for minor components. 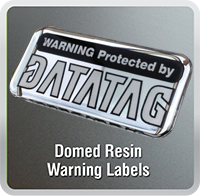 The best way to prevent your motorcycle being stolen in the first place is to have Datatag fitted when you buy the machine. 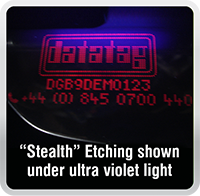 Datatag’s multi-layered electronic identification and anti-theft system enables the Police to identify the true owner of any Datatagged motorcycle, even if the number plate and standard identification numbers have been removed or changed. All new Suzuki Motorcycles are fitted with Datatag’s Security System as standard under the MASTER Security Scheme. 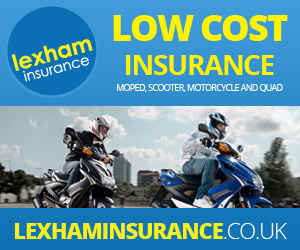 The Industry MASTER Security Scheme, launched in January 2013 by the Motorcycle Industry Association and supported by the Police and many of the top brands in the UK, recently announced some impressive theft reduction figures that show clearly how effective the Scheme has already become in the fight against theft. Since its launch over 52,000 new machines have been protected by the Scheme and its’ Datatag powered technology. Figures released by the Police show that since this date just 403 registered machines have been reported stolen - an astonishingly low theft rate of just 0.76%. Compared to reported theft figures of non-marked bikes this shows that MASTER protected machines are nearly 4 times less likely to be stolen than those not protected.